Libeccio 9.5 is also a cabin cruiser with a transformable dinette, so as to have 4 beds, including those of the spacious double cabin. 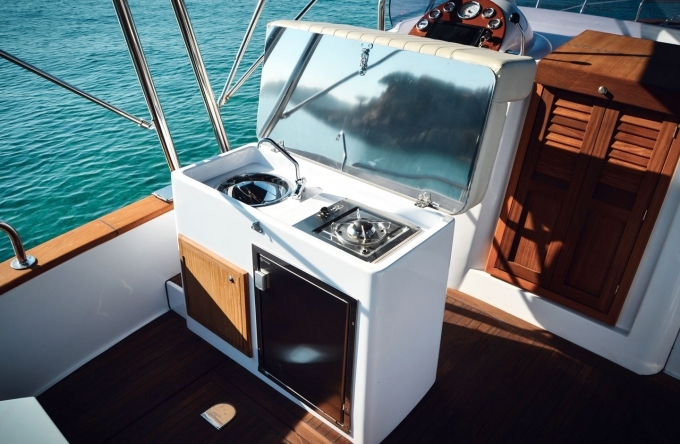 The indoor kitchen is equipped with a sink, a hob and a fridge. Libeccio 9. 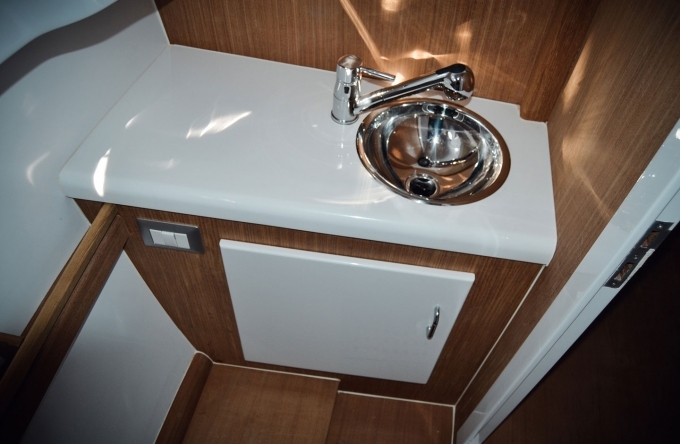 5 cabin also features a separate toilet with shower. Like other models, this elegant gozzo has a fiberglass roll bar which allows the awning to cover the entire stern of the boat. 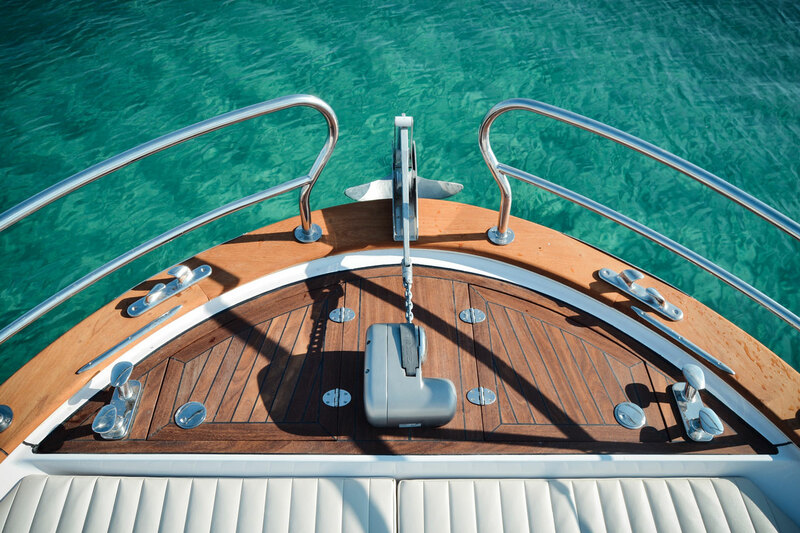 Like all Gozzi by Mimì, the hull is made with vacuum infusion to reduce its weight for a more solid product with less impact on the environment, since it allows the use of a less powerful engine. 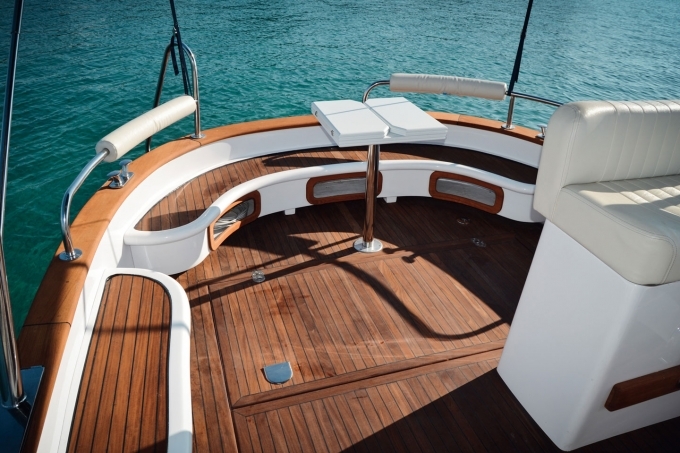 The deck is made of valuable old teak wood. 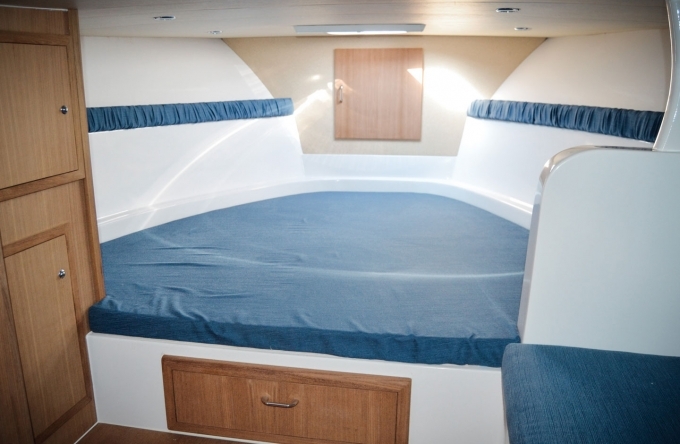 Libeccio 9.5 cabin is incredibly spacious and comfortable and can accommodate up to 10 people. 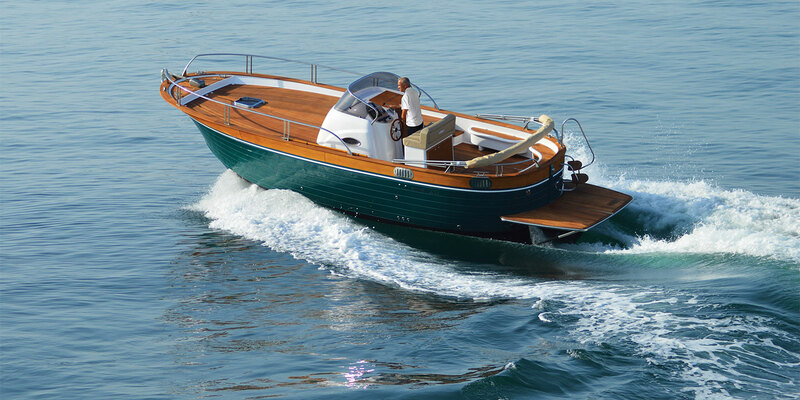 Beautifully finished, this special boat is the ideal solution for the most demanding boaters. 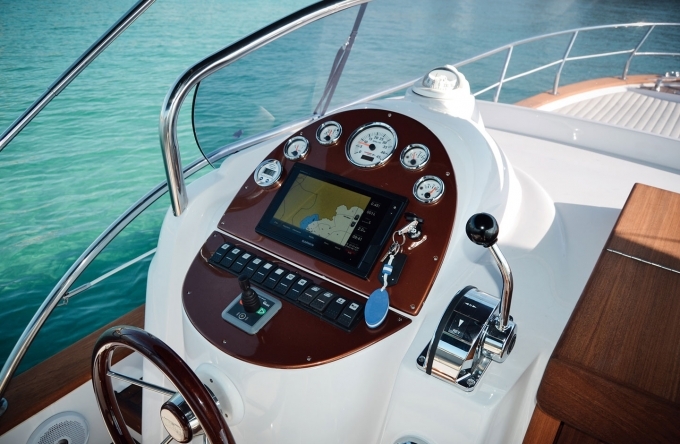 Libeccio 9.5 cabin is also available in the single-engine version.